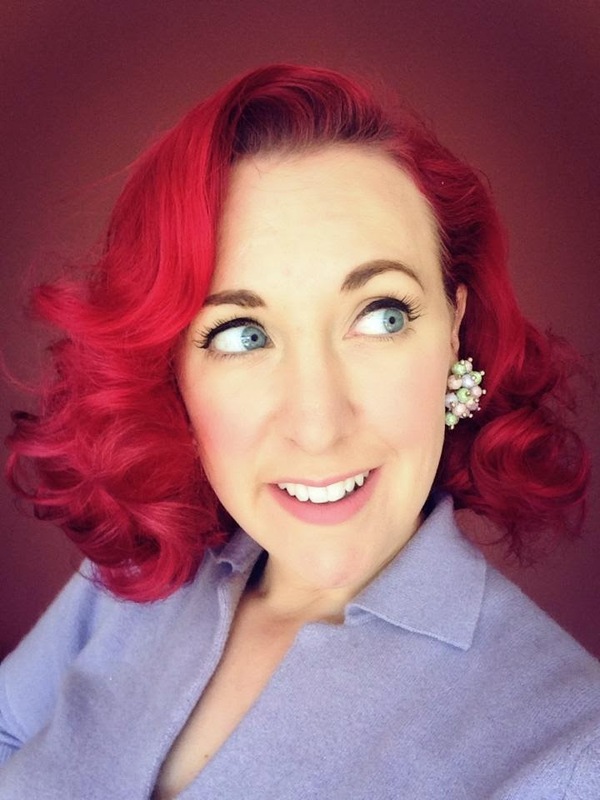 Sew Retro Rose: Announcing a SEW ALONG!!! UPDATE! 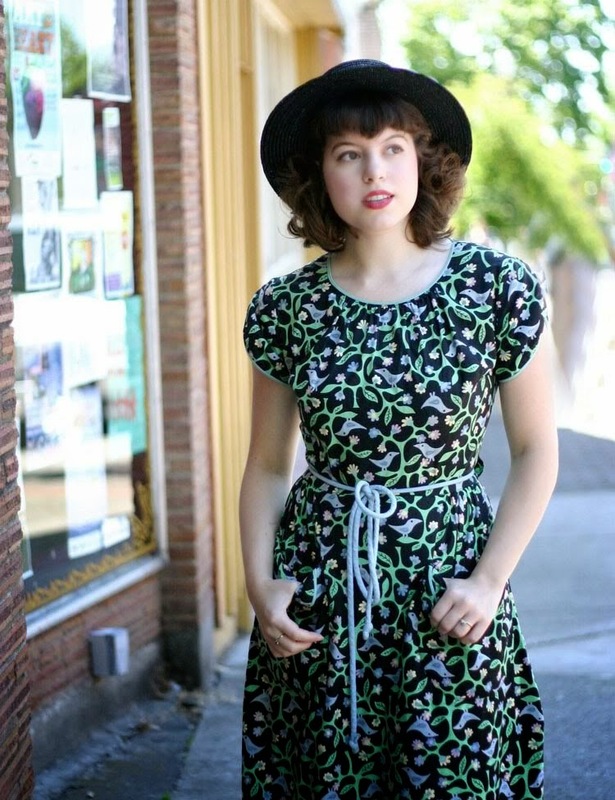 I have now opened an Etsy store to sell this Swirl Dress Pattern PDF. You can find it here. I'm taking a break from my holiday posts to announce a sew-along that I hope you will all want to participate in! I'm pretty excited about this, and I hope you are too. We are going to sew a Swirl Dress! Now, for those that don't know, Swirl dresses are quite possibly the most wonderfully designed and comfortable dresses on the planet. I own several, and I live in them on the weekends. This add basically says it all. 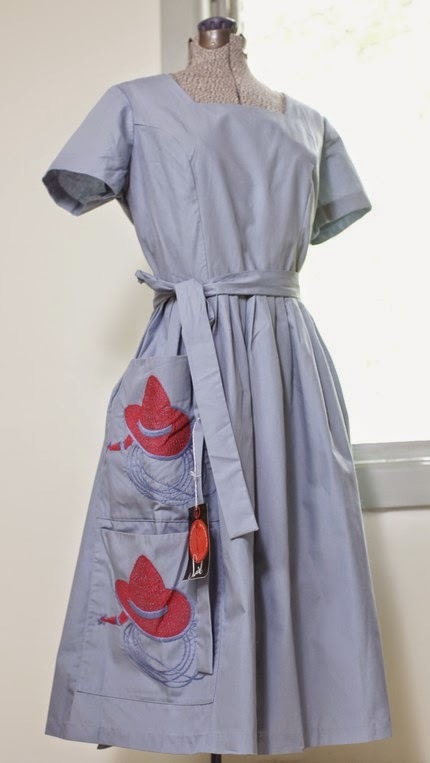 You walk into it, do up the button, tie it around your waist and look fabulous and feel comfortable all day! And I'm pretty sure this dress she is wearing is now in my wardrobe! Basically, they are just all round fabulous! 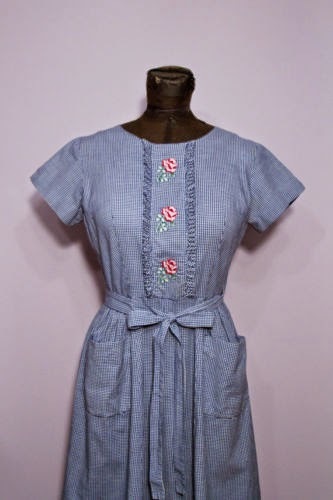 Please note that these measurements are your measurements, not the measurements of the garment, and the fit is quite adjustable given that it is a wrap dress. If you are between sizes its going to depend on how you like your fit - fitted? size down, blousey? size up. By now I'm hoping that you are super excited and want to find out how to get yourself a copy of the pattern and join in the fun!!! To join in, comment below with your email address and I will send you an invoice for the US$6, or, send an email to sewretrorose(at)gmail.com with your email address. When you've paid I will email you the pattern. EASY! I really REALLY hope that everyone joins in the fun. When all the instructions are posted (I think I'll do three posts a week) I'll give everyone a couple of weeks to finish and I'll do a blog post with photos of everyone's finished dresses. OH! And I'm going to make a facebook group for everyone that joins so that we can all talk and ask questions and post photos and make friends! I am SO in! I will send you the $6 shortly. Cannot wait! Emailing tonite! So excited about this sewalong! I was on the fence, but the more I look at the dress, the more I want to make it! This is going to be my first sewalong! I've been pretty uninspired about the patterns in my stash. This might be the push I need! Sorry if repeated said error 1st attempt? 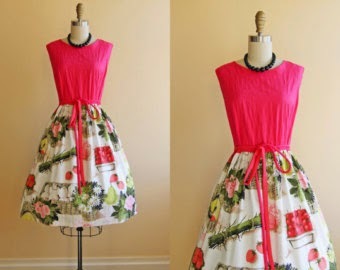 I own a few Swirl dresses too and am really looking forward to making one myself to join them. Thank you for all your hard work. Absolutely in! magdalenesmuse@gmail.com This looks like a very exciting project. Must consult my vintage fabric dealer door supplies. I have a most beautiful swirl dress (black with red roses, it's so sweet) but it doesn't fit me. It goes around me but the back doesn't sit flat. I am short bodied and i think this causes the back to "buckle" and gape quite bit. I also have a sway back, eg a very big dip in and out at the base of may back. It's annoying and it means the dress is for sale soon. I do wonder if I can actually make one that fits, what do you think? Oh I'd love to join it! I've been trying to work out how I might draft one for myself. But this makes it so much easier! YES! Yes, please!!! This sounds like such fun! Lauren, it made me happy to see *wild muppet arms*. I use this phrase every time it's appropriate! I can't believe I'm applying ! Such a commitment ! Never participated in a sew along (although I follow them avidly) but it might be the kick in the tush I need to actually stop just hoarding fabric and patterns and actually get on with sewing ! (especially now my step-father has tuned my good old Singer Starlet to tickety boo !) I would be a medium at queenosaba@hotmail.com -----how exciting ! Can't wait to try this, looks so cute! Second round of invoices has gone out - I am up to 80 people!!! Yes please :) I've never sewn anything before so will be getting mum to help me. Is it okay that I am in the UK? Me either, Ms. Bailey. I had never heard of them. At first I thought Beccie was talking about that dress that is one piece but wraps around the front then wraps around the back (can't think of the name); however, people were blogging about how bad many gals looked in it. 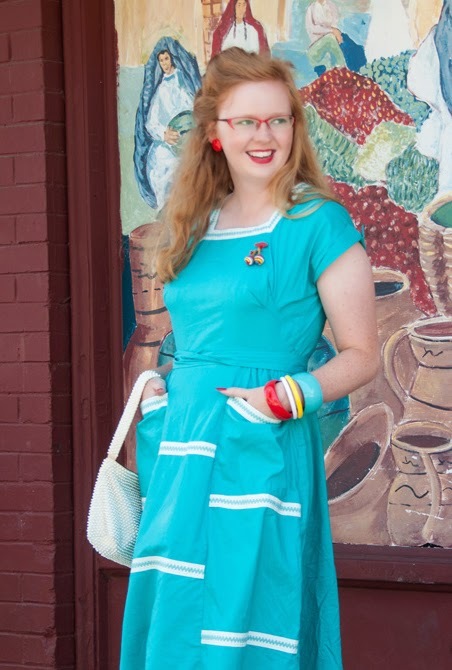 Hmm, is the other dress you're talking about that "one hour dress" that was a 50s pattern, possibly from Vogue? (Can't remember). It sort of wrapped around and looked great in the picture, but rather shapeless in real life when most people tried it! I believe so, Morgana. And 'tween you and me, the hard-headed gal that I am . . . I still want to make one. I have this notion that I'm sorta, kinda cute. Excuse me whilst I froth at the mouth! How long does an invoice last for? I'm down to my last few pennies until payday Friday - would I be able to pay the invoice then? I'm so in and so excited! kacyburchfield(at)gmail(dot)com!! This sounds like fun! Email me at loranwatkins(at)gmail(dot)com. One question though: will you be including in the pattern PDF that little test square of 1 inch (or bit of a tape measure, or whatever) to check that the pattern printed out correctly at the right size? I ask because some PDF patterns don't include them, and I've had problems in the past with my printer saying it's printing something out at 100%, when it actually isn't - that little square is really helpful to double check it's worked! Hi Morgana - no I didn't do that, although that is a brilliant idea. My patterns weren't done electronically, they were done by me and some textas.... so possibly not as professional as you are used to! Never mind, I'm sure it will be fine! It's a really helpful thing to include for future reference though - as printers can be weird that way! I was wondering the same question and figured I'd better come and check versus running ahead and asking. I'm at the library right now with the pattern in another window to be printed. I'm nervous to hit the "print" button because I'm using the last of my lil spending monies to print this out and I'm nervous that the library's printers won't be configured correctly. Yikes! !, LOL. It printed just fine!!! Now, to find some fabric, yippppeeeee!!!! count me in! carlyndal@hotmail.com. Also i dont have paypal, can you do direct deposit? I would love to be included! More than happy to pay $6 for the pattern! Hi Beccie, please include me too, my email address Janeinness@hotmail.com, thank you. I'd like to take part also. Thanks so much! I forgot to tell you - size medium. I don't see an invoice in my inbox. Can you please send again? Got it and paid it...and forgot to include the note on PayPal asking for a size medium. I'd like to join the sew-along too. Thanks for your effort! Could you kindly invoice me? I think you still have my e-mail, otherwise just let me know. The Facebook link: am I to be waiting for one or go on over there and hunt around? Thought we were going to be dialoguing about the sew-a-long? I'd love to join in to if it's not too late! jocelyn.lynch1@gmail.com, size XL please and thank you! Hi! Would love a copy of the XL PDF and happy to pay for your time and trouble ! So sorry I'm so late but I just at found your blog and I love it! Hi Beccie! 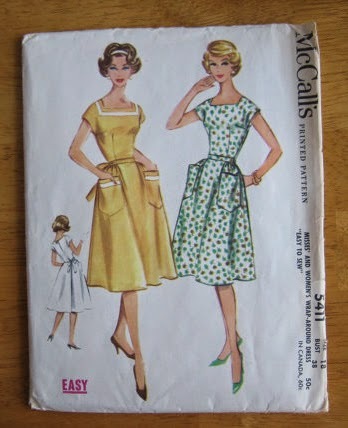 If you're still doing this, I'd love to buy patterns (likely two sizes). Email is liseah@hotmail.com. Thank you! Oh, just found your blog! Are you still offering this pattern to buy? Would love to make myself one. My email is cate@vintagegal.co.uk. Thanks! Love this pattern! If you're still sellin', I'm buyin'! XL please. 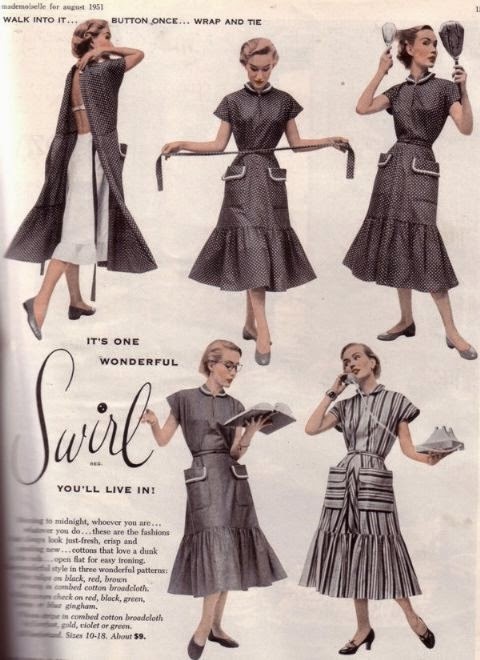 I would love to purchase your beautiful swirl dress pattern in M or L if you are still selling them. My bust is something between 38" and 40"
Like Nona, I'm hoping that you're still doing this, because I would love to make a Swirl! My email is aspiring.star@gmail.com. Has anyone gotten the pattern? ?